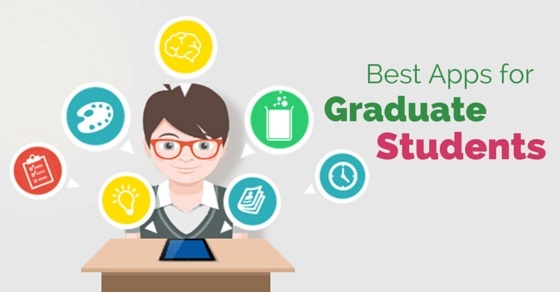 Graduate students now a days are not just confined to their books, assignments and exams, but, they are smart enough and work side by side to earn their living. Handling both the job and education is a Herculean task and only being dependent on the paper work is just not enough. Today is technological era and everyone hunts for technology and apps are their best partners at the time of need. Paper can get lost, but the app once downloaded is stored in the mobile for long. This app is meant for writing. This is one of the easy to use handwriting apps, especially for iPad. This application gives you an experience of writing on the paper without actually scribbling as well as making you comfortable with the usage of the tablet. For this, what you need is a stylus so as to write on it. These are affordable enough and you can easily get one online as well as in the stores. Are you feeling messed up with your assignments? Need not waste time on writing on paper and prioritizing your assignments. Just get this app on your mobile and let the app keep track of your important assignments and projects. This app will help you in syncing your projects with the calendar and will also alert you on timely basis of when your assignment is due. This way, you will be able to have a glance at your week’s work and will save much of your needed time and effort. Saving the projects, photos, videos by emailing yourself is a bit difficult and frustrating. A drop box is a savior and it is a must-have. Moreover, it is Free! This app will assist you in sharing your work, including pictures, videos, assignments and all other files with anyone, anywhere. Not just this, you can even use this app to access your own files. You need not hunt for your work on the desktop every time. Just get this app on your mobile and make your work more accessible. Do you need to create a list of work you do? No need to get a paper and pen. Just get an access to this app and manage all your tasks at one place. You can easily set priority levels for your work and can break down your long assignments into small and manageable parts. The list of your work can be shared as well as edited by others, thus making it a great tool for group work and objects. Carrying your laptop to school on a daily basis is a nuisance in itself. It needs lots of attention and care. But do not worry as this app of keynote helps you to prepare your power point presentations along with creating designs and displaying it in front of the whole class. So, stop hoarding your laptops to school, colleges and get this app on your mobile devices as soon as possible. This is one of the safest places to keep your stuff. You are free to upload the photos, projects, videos and all other required things which are important to you. Then afterwards you can access what you need, wherever you go, on any of the devices. The Google drive allows you 15GB of storage. Free. This app is easy to use and is free to have on your mobile devices. This app helps you to remember all what you do. Here you can save your ideas; views and can capture the pictures, create to-do list, record voice reminders. You can save these in this app and an easy search for your work wherever you are, at home, office, at work or anywhere else. If you have a keen interest in reading, then get this app on your mobiles or on any of the electronic devices you use. This is a magazine which provides you news, stories, pictures, videos and articles based on your interests. You can keep yourself updated by reading the news on a daily basis through this application. Storing papers, articles, stories and all other material offline are the best thing as you can read them whenever, wherever you want to. Travelling from one place to another and forgot to transfer files saved in computer to your mobile or laptop? Need not worry as of now you can have access to your class notes by just entering Sync Back Freeware, a free windows tool that create backs up of the documents and then synchronizes with the devices you need while you are travelling. By having this app you can schedule backs up with unlimited filename length, avoiding a last minute hustle bustle to again do the homework or frantically search for needed material. This is a powerful app for organizing and writing handwritten notes, diagrams on the iPad. It helps in shrinking all your files and thus you are able to save a hefty amount of files in it. The files you saved can be read easily as those are written with the help of fine pen. It provides you with solid functionality and concrete controls so as to produce the pages and work you are in need. The graduates who are serious about research, this Mendeley tool is best for them. It is just like a personal research assistant helping us to collect, organize and share research. You can search over 30 million papers, references and many more things; create your own personal libraries for every single project you work on. It sometimes becomes challenging for the students to organize the research papers. So, to make it easy and hassle free, one can get this app on mobiles. This outliner app is an application which helps in making outlines of the notes with a manageable list of tasks you do. You can search and then tag your outlines, get a quick overview of the projects you are making. Working graduates are sometimes unable to get enough sound sleep. Getting a good sleep is necessary for good health. This app helps in analyzing your sleep and will wake you up during your lightest sleep phase with the hopes that you will wake up rejuvenated so as to work perfectly ahead. This is a paid app. This app for iPad and the iPhone has beautiful features like sub tasks, due dates, categories, projects, etc. This app is easy to use and has a simple design. This helps in syncing your list with the mobiles and other computer devices. Wikipedia is one of the easiest solutions to all your much needed notes, but an alternative to Wikipedia is encyclopedia Britannica. This is one of the best applications to organize all your information you find on it. Get this app and make your work of finding and maintain the work easily. This app is optimized for the all sorts of gizmos like iPhone, iPad, iPod touch. It gives the user an ability to go through kindle books, magazine, textbooks, and newspapers, PDFs on simple and easy to use interface. This application is mainly designed for iPad users and delivers text journal articles direct to your iPad. You can read them as PDFs on the spot or you can even save them for later reading. This is the only application which combines your note making with to do list that further helps you to organize your life by keeping everything at the right place. At times it is hard to pin down the bibliography. Keeping track of the resources and the quotes is sometimes daunting. This I source app completes the work of bibliography and keeps the track of all the resources, saves all the things at one place, is also easy to use. This is an educational search engine. Students can get any information on any topic they need. Insta Grok presents the information in the best way, i.e. with images, relationships, videos, concepts, facts and figures and so on. Users can pin their favorite material to grok and later on can take notes from it. So, above are some of the applications graduate students can use. These applications benefit students to a great extent and make their work easy. These applications are designed to assist ourselves when in need. Students who study as well as work can use these apps and can get rid of the hectic work schedule. Some of the applications are free of cost and are used extensively by students while other applications cost a bit.